Interestingly, the majority of these incidents took place during the office parties, work dinners and team outings and not at the work floor areas. Bangalore: The past six months have seen a drastic rise in number of sexual harassment cases reported from the Indian workplaces. The reporting of such incidents, from October last year, has gone up by 70 per cent and 20 per cent of these are the old cases, happened 2 to 6 years ago. These cases have involved employees across the board right from entry level to CXO category. 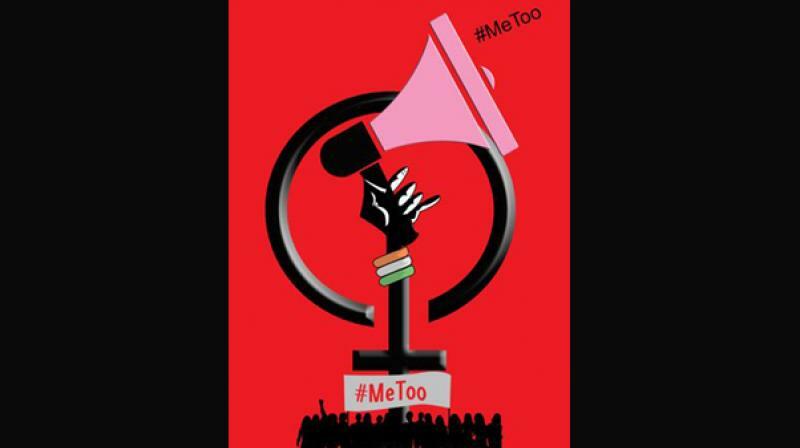 Also, over 90 per cent of the complainants were women who mobilized courage to flag/report an issue after the #MeToo Campaign, as per a recent analysis conducted by InterWeave Consulting, a Bangalore-based firm that works with hundreds of IT and non IT large enterprises across the country in the areas of gender diversity, inclusion and safe work practices. Interestingly, the majority of these incidents took place during the office parties, work dinners and team outings and not at the work floor areas. Most men interrogated expressed they were cool about what they did as the women did not protest. Some women said they were drunk in an office party thinking they would be safe but were exploited by managers and male colleagues. Spiking the drink is a very common practice in office parties and in most cases women are the targets, says the analysis. The study that consulted the hundreds of such cases found that 30 per cent of the men wondered why women made such a hue and cry about something “friendly” or “jovial”. Some of the incidents involved seemingly small things like calling names, ridiculing someone’s dressing, pulling or pushing someone to the dance floor or forcing someone to consume alcohol. “A lot of men take advantage and any woman will know when a touch is not friendly and decent. I stopped attending team building parties to avoid such helpless situations,’’ says Keerthana Rghavav, a techie.